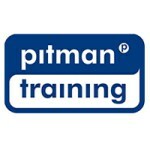 Pitman Trainings Bookkeeping Award with AAT Qualification is intended for anyone keen to develop bookkeeping skills for an accounting role, whether within a finance department for a business, or providing your own services to small businesses. Its also valuable for small business owners who want to get a firmer grip on their own finances. Our Bookkeeping Award with AAT Qualification is a great stepping stone for your career and provides a recognised industry qualification. It is a strong practical course that helps prove to employers you have a head for numbers, and ensures you are up to speed with all the workings of manual bookkeeping. Our Bookkeeping Award with AAT Qualification covers all elements of manual bookkeeping skills, in a practical format and as part of the course you also gain access to the AAT network, along with AAT student membership, providing you with extensive online study resources. This Award is broken down into 3 modules, and you will work through real-life scenarios which deal with bookkeeping challenges, so you really are prepared for situations you find yourself in when taking up a bookkeeper role. Carear Path This award can lead to a fantastic number of careers in accountancy such as Bookkeeper, Accounts Assistant or Finance Assistant. If you're keen to plot a definitive path for promotion you could work towards roles such as Finance Manager, Assistant Accountant/Accountant, Auditor and more.